Well aren't I clever? Haha. I didn't want to use Gold Digger as my title, but the nerdy chemical version will do. This is the makeup I wore with yesterday's look. I took all the photos outdoors so in bright sunshine, it may look different than the bathroom lighting you guys are used to. See how my eyes look flirtier? Just cut your normal lashes in half and apply them along the outer corners (works perfectly with winged eyeliner. I dislike wearing full falsies anyway. Can never align them right. Looks odd from above, eh? I applied Fiberwig to lengthen my inner lashes that weren't eaten by my falsies. Do you like my bathroom lighting photos better or these new bright sunshine ones? I don't know which pics up more colour. And how do you get rid of the tiny tiny little brow hairs that like to hang out around your crease? Never see them til you take super macro pictures and blow them up. 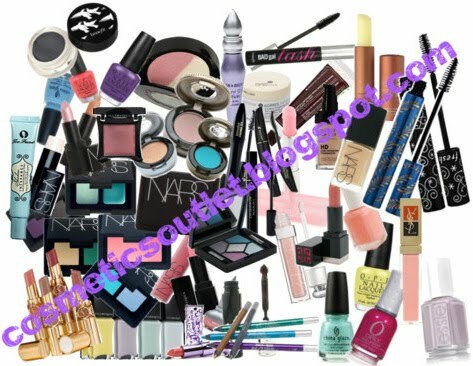 Ah, yet another giveaway :) This is Cosmetic Outlet's NARS Giveaway. You can win a Sheer Glow Foundation, Blush, and Eyeshadow Single/Duo. I cut mine on half also!! I like the sunlight pics and great FOTD!! love the make up! anyways i figured it was going to the celtics and the lakers after the celtics beat the cavs. p.s. 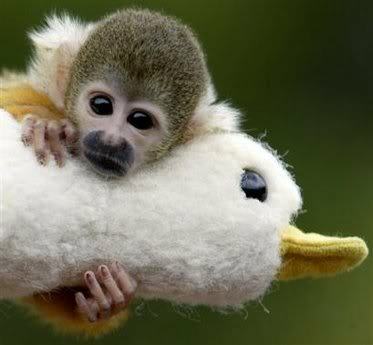 that squirrel monkey is adorable!